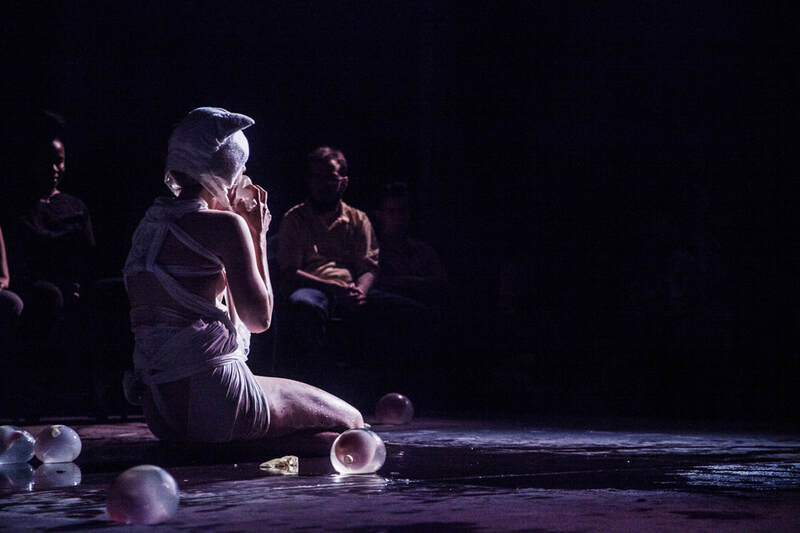 Noemi Veberič Levovnik is active in the field of performance, music, visual arts and moving image. Her practice uses dada elements with which she examines new identities, reflects on everyday life in a personal and social level, reflects on the unrecognizable, traverses the subconscious and tests the boundaries between reality and fantasy. 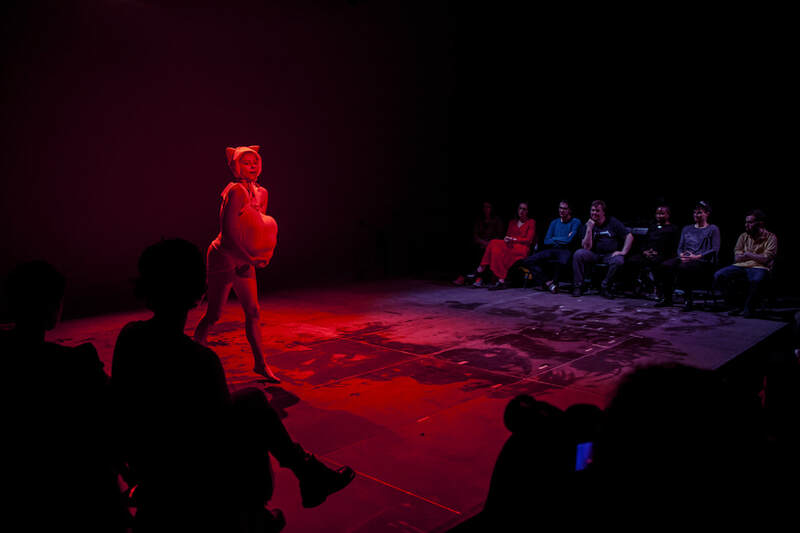 In Sound Acts she presented her performance "Cat" commenting on woman’s roles and the female body in the reproduction process, the pressure that the female body receives to accept and perform its role in any possible way. With music by Mauricio Valdes San Emetario and Noemi herself.